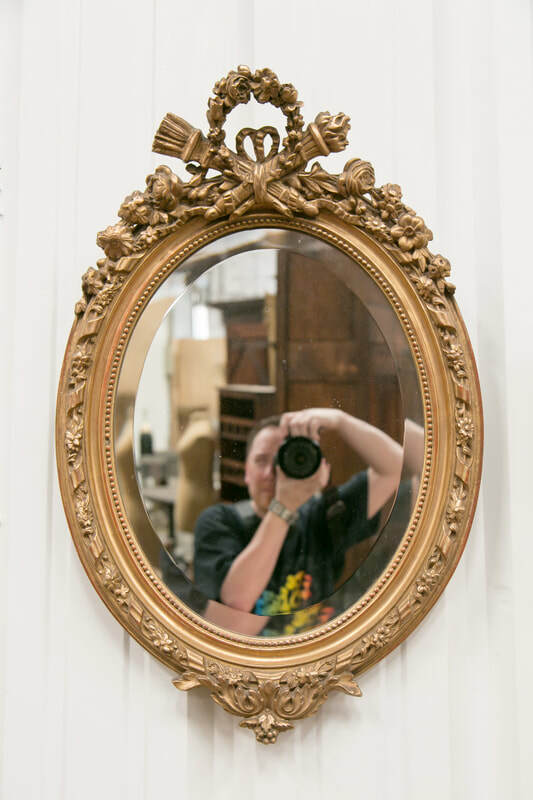 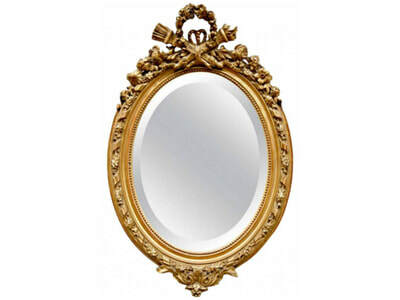 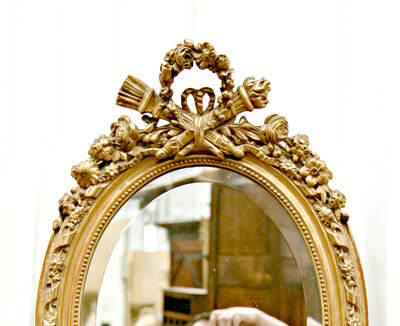 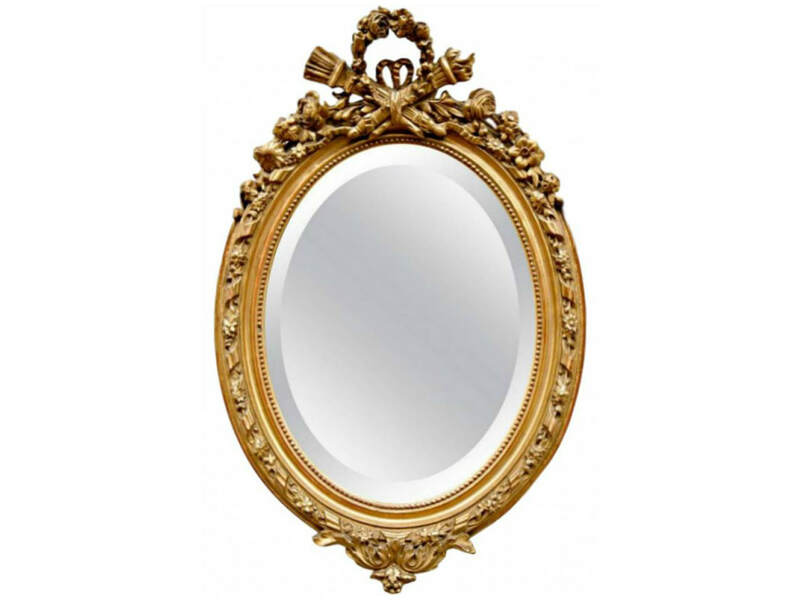 19th century French Louis XVI style hand-carved oval giltwood mirror, circa 1890. 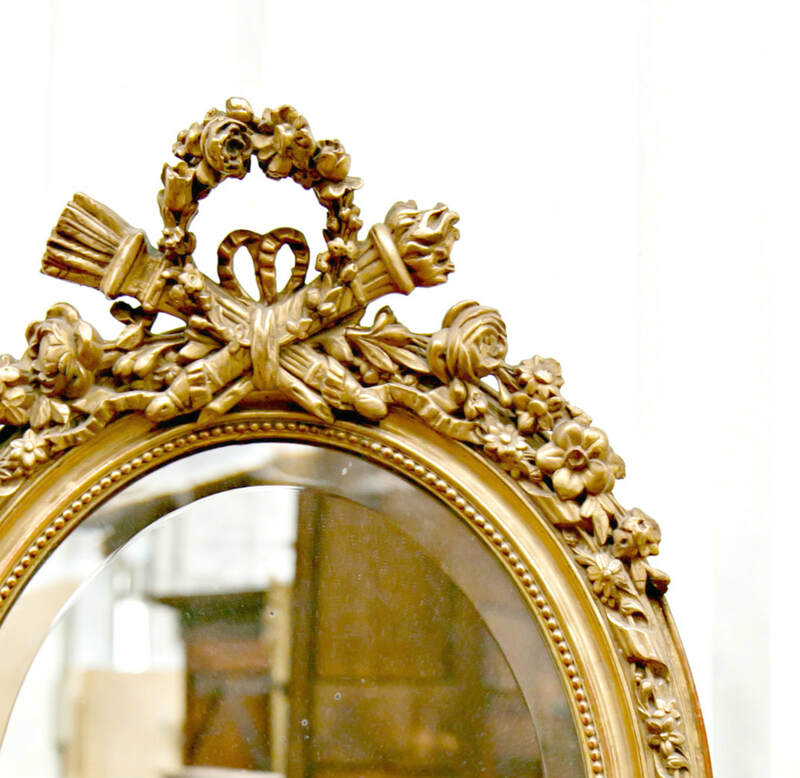 This beautiful Belle Epoque period mirror with original beveled glass and intricately carved cartouche depicts the royal symbols of Louis XVI. The arrows of justice crossed with a flaming torch of truth are joined by a floral wreath and a bow tied ribbon. 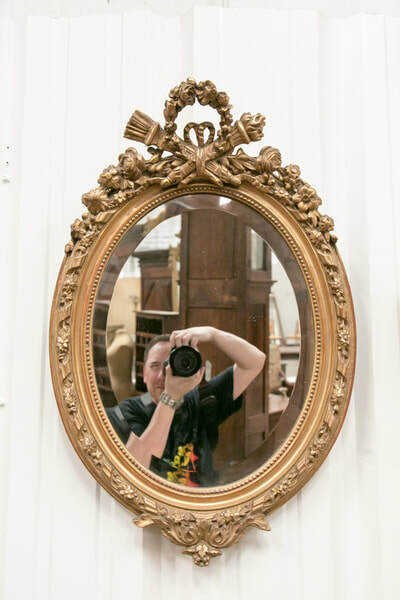 The flaming torch is an ancient symbol of life, truth and the regenerative power of fire while the quiver of arrows signifies the ability to use force in the pursuit of justice. 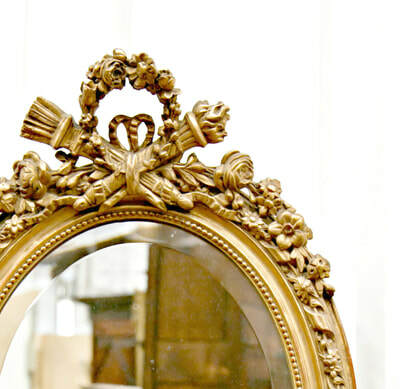 By using these symbols from the past, Louis XVI was making a conscious choice to ally himself with their powerful meanings. 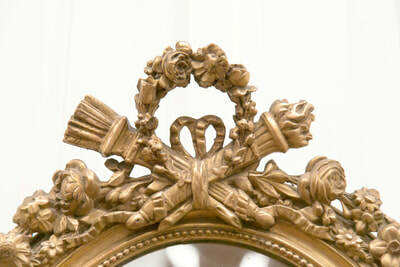 Flanking the torch and quiver on either side is a garland of roses and other floral and foliage. 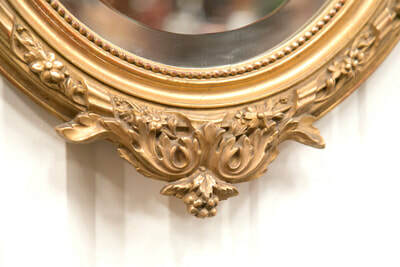 At the base of the frame is another cartouche. 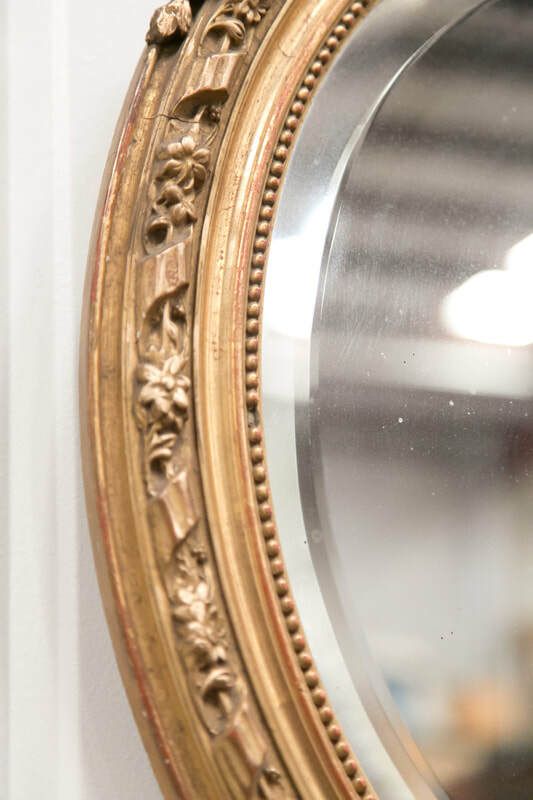 The oval frame surrounds the original beveled mirror glass which retains the familiar speckles and spots of truly antique glass. The inner border features "les perles" (beading that resembles a strand of pearls) next to the antique mirror glass. 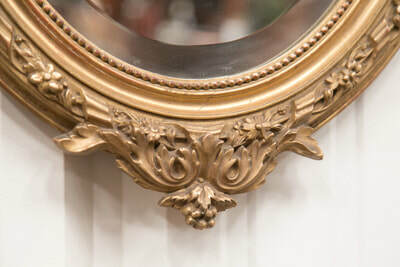 The outer edge of the frame features a carved twisted ribbon and floral design. 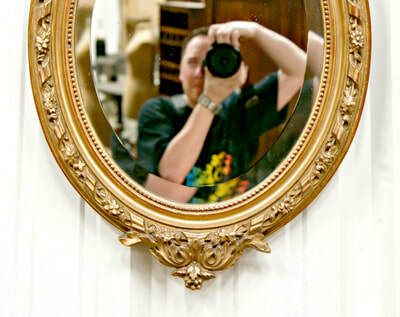 Original patina with red oxidation showing through adds to the charm and authenticity.